CALOBA is excited to bring you our General Counsel (GC) roundtable event. Our distinguished panel of top legal counsel will share their experiences at the helm of some of the top technology companies. Come hear insights from our diverse set of panelists on getting to the GC role, leading a legal team, and effective engagement and interaction with your outside counsel. This is a great opportunity for in-house counsel, outside counsel, and anyone interested in the top legal positions. Cost: Free for members and $15 for guests. Dinner will be served courtesy to our sponsors Fenwick & West LLP and Foley & Lardner LLP. We will be serving a specially curated selection of very fine wines from Napa and beyond. Mary Fuller is General Counsel and Corporate Secretary of ASSIA, where she is a trusted executive who combines her technical expertise with her strong legal and business experience to provide advice and guidance to ASSIA, its executive management, and Board. Mary has specialized in high-tech for more than thirty-years. Before ASSIA, Mary held positions including Chief IP Counsel and Managing Director at Maxim Integrated Products, where her global responsibilities extend to all facets of intellectual property, and further included primary responsibility for Compliance, Ethics, and Risk (CER), including Cybersecurity. Before Maxim, Mary served as a Director and Managing Counsel for Marvell Semiconductor where her primary responsibilities included serving as Assistant Secretary to the Board, as well as overseeing all litigation, driving key investigations, such as the Stock Option Backdating Investigation, and providing advice and guidance to Marvell’s executives and Board. For nearly a decade before going in-house, Mary practiced law at high profile Silicon Valley law firms including Pennie and Edmonds, and Bingham McCutchen. Before that, Mary was an electrical engineer at Hewlett-Packard. Mary holds an AAS in Electronics from Glendale Community College, a BSEE from Northern Arizona University, and a JD with honors from the University of Notre Dame School of Law. In 2015 Mary was awarded the Watermark Emerging Leader Award and profiled in Silicon Valley Magazine, and in 2016 Mary’s work was profiled in Modern Counsel Magazine. 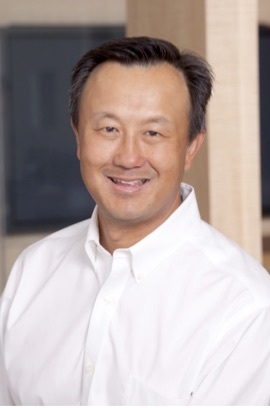 John Kuo is Senior Vice President, General Counsel and Corporate Secretary of Varian Medical System. John joined Varian in 2003 as senior counsel, focusing on commercial transactions, securities, corporate governance and M&A, and became GC in 2005. Today, his management responsibilities include the company's Legal, Trade Compliance, Environmental Affairs and Ethical Compliance functions. Before Varian, John was General Counsel at Broadvision and held senior legal positions at 3Com Corporation, Acer America and Baroid Corporation, and was also at Gray Cary Ware & Freidenrich (now, DLA Piper) and Fulbright & Jaworski. John graduated from Cornell University and got his law degree from UC Berkeley. John credits his two expat assignments, first to Scotland in a Europe/Middle East role and later to Singapore in a Asia/Pacific Rim role, as seminal to his professional development. He also has worked across three industries – energy, high tech and life sciences. He has served on the board of the Law Foundation of Silicon Valley, Law Cabinet of the United Way Silicon Valley, Boalt Hall Alumni Association board (president-elect) and the Cornell University Council. He and his team have been awarded the 2016 Corporate Counsel Lifetime Achievement Award from the Silicon Valley Business Journal, 2015 Justice in Action award from AALDEF, the 2015 Best Legal Department – Product Counseling from The Recorder, and the 2014 Diversity award from APABA-SV. 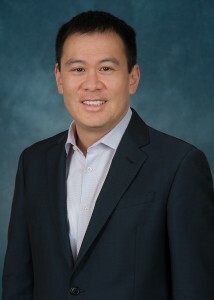 Michael Tang is Senior Vice President, General Counsel and Secretary of Agilent Technologies. He is responsible for leading Agilent’s global legal organization and advising the board of directors and management team on all aspects of the law, including mergers and acquisitions, corporate governance and securities matters. Michael has served in the Legal and Corporate Development departments of Agilent since joining the company in 2006. In 2013 he was named Agilent Vice President, Assistant General Counsel and Assistant Secretary. Prior to Agilent, Michael represented public and private technology companies in a broad range of corporate and securities matters at Wilson Sonsini Goodrich & Rosati, a Palo Alto, California, law firm and Fenwick & West LLP, a Mountain View, California, law firm. Michael is a graduate of Columbia Law School. He also holds a B.S. in economics from The Wharton School of Business, University of Pennsylvania. 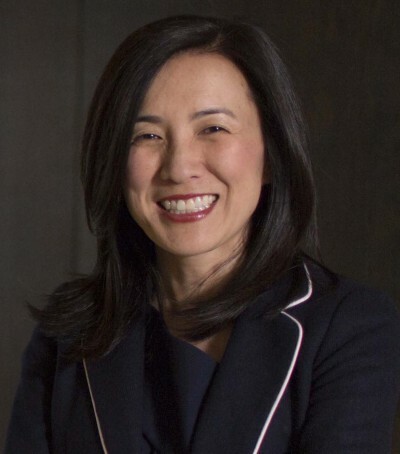 Salle Yoo is General Counsel of Uber Technologies. She ensures that Uber can rapidly expand its global presence and sustain long-term growth in existing markets. She and her team oversee an increasingly complex set of legal and regulatory matters, as Uber continues to attract hundreds of thousands of driver partners and riders globally. Prior to joining Uber in 2012, Salle was a litigation partner at Davis Wright Tremaine LLP, where she represented energy, telecommunications and technology firms. When she left to join Uber, it was because of her excitement about its potential to change the way millions of people move around cities. Salle serves on the Museum Council for the Asian Art Museum and is a member of the Council of Korean Americans. In 2015, Salle was named one of San Francisco Business Times’ Most Influential Women in Bay Area Business. She previously served as Secretary, Director and Chair of the Judiciary Committee for the Asian-American Bar Association of the Greater Bay Area. She graduated from Scripps College and Boston University School of Law. Jessica Zhou is General Counsel of Ayla Networks. 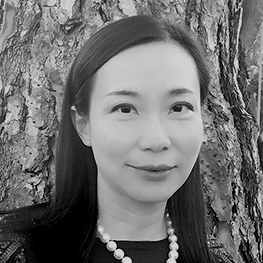 Jessica Zhou brings to Ayla more than 15 years of experience in legal counsel, compliance and helping fast-growing technology companies scale and expand internationally. Prior to joining Ayla, she was general counsel of Weebly Inc., a global SaaS company and leading platform for website creation and management, e-commerce, integrated marketing and data analytics. While there, she drove the company’s worldwide legal and compliance strategy, grew the intellectual property (IP) portfolio, defined the government and regulatory practice, and helped the company expand into new markets. 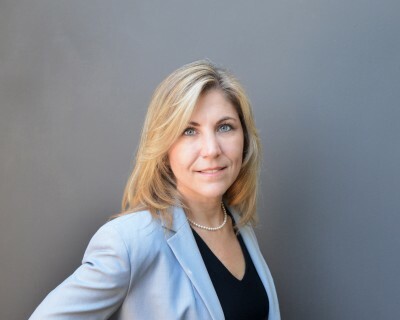 Before that, Jessica served as general counsel and chief compliance officer for Canadian Solar Inc. (Nasdaq:CSIQ), one of the world’s largest solar companies, and for Ubiquiti Networks Inc. (Nasdaq:UBNT), a leader in wireless networking and telecommunications. At Canadian Solar, she helped the company successfully scale its worldwide operations, establish multiple new international subsidiaries, raise capital in excess of $500 million from public capital markets, and grow the company’s revenue from $600 million to over $2 billion during her tenure. Earlier in her career, Jessica was an attorney at Latham & Watkins LLP, a leading global law firm. She has done a significant number of mergers and acquisitions, initial public offerings (IPOs), follow-on offerings and other capital markets transactions, advised public companies in corporate governance and SEC reporting, and represented private companies in venture financings and matters relating to their operations. Chinese American Lawyers of the Bay Area (CALOBA) is a professional organization for attorneys and law students in the Bay Area who are Chinese speaking or have a keen interest in Chinese law. Through our events, members and guests can network, develop professional skills, and share knowledge and ideas regarding a variety of topics, including the practice of law in the Bay Area and in China. For more information, please go to http://www.caloba.org. Fenwick & West LLP provides comprehensive legal services to ground-breaking technology and life sciences companies—at every stage of their lifecycle—and the investors that partner with them. We craft innovative, cost-effective and practical solutions on issues ranging from venture capital, public offerings, joint ventures, M&A and strategic relationships, to intellectual property, litigation and dispute resolution, taxation, antitrust, and employment and labor law. For more than four decades, Fenwick has helped some of the world's most recognized companies become and remain market leaders. For more information, please visit fenwick.com. Foley & Lardner LLP looks beyond the law to focus on the constantly evolving demands facing our clients and their industries. With nearly 900 lawyers in 19 offices across the United States, Europe and Asia, Foley approaches client service by first understanding our clients’ priorities, objectives and challenges. We work hard to understand our clients’ issues and forge long-term relationships with them to help achieve successful outcomes and solve their legal issues through practical business advice and cutting-edge legal insight. Our clients view us as trusted business advisors because we understand that great legal service is only valuable if it is relevant, practical and beneficial to their businesses. For more information, please go to www.foley.com.